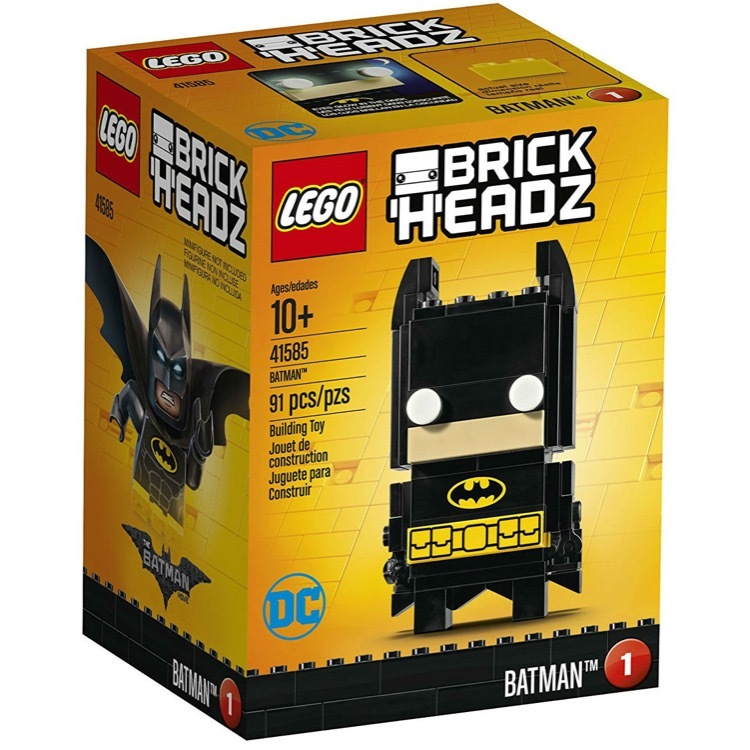 This is a BRAND NEW set of LEGO® BrickHeadz 41585 Batman from 2017. This set is still factory sealed and the box is in very good condition with minor shelf wear. 91 pieces and no minifigures©. 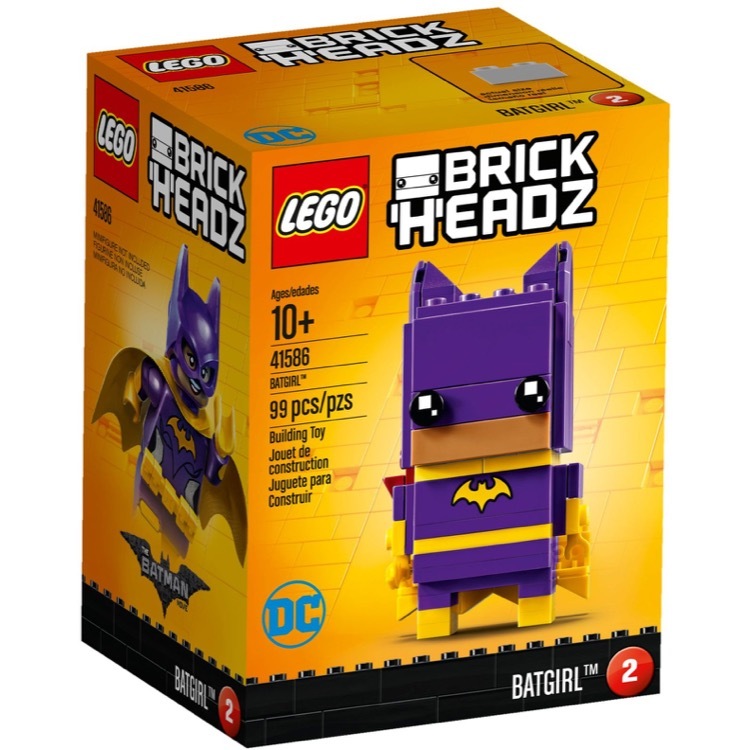 This is a BRAND NEW set of LEGO® BrickHeadz 41586 Batgirl from 2017. This set is still factory sealed and the box is in very good condition with minor shelf wear. 99 pieces and no minifigures©. This is a BRAND NEW set of LEGO® BrickHeadz 41587 Robin from 2017. This set is still factory sealed and the box is in very good condition with minor shelf wear. 101 pieces and no minifigures©. 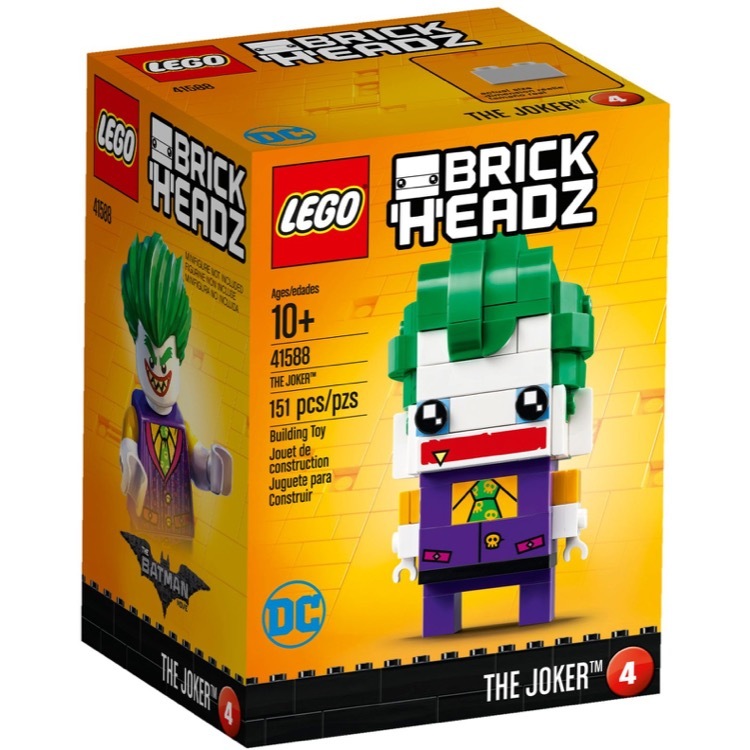 This is a BRAND NEW set of LEGO® BrickHeadz 41588 The Joker™ from 2017. This set is still factory sealed and the box is in very good condition with minor shelf wear. 151 pieces and no minifigures©. 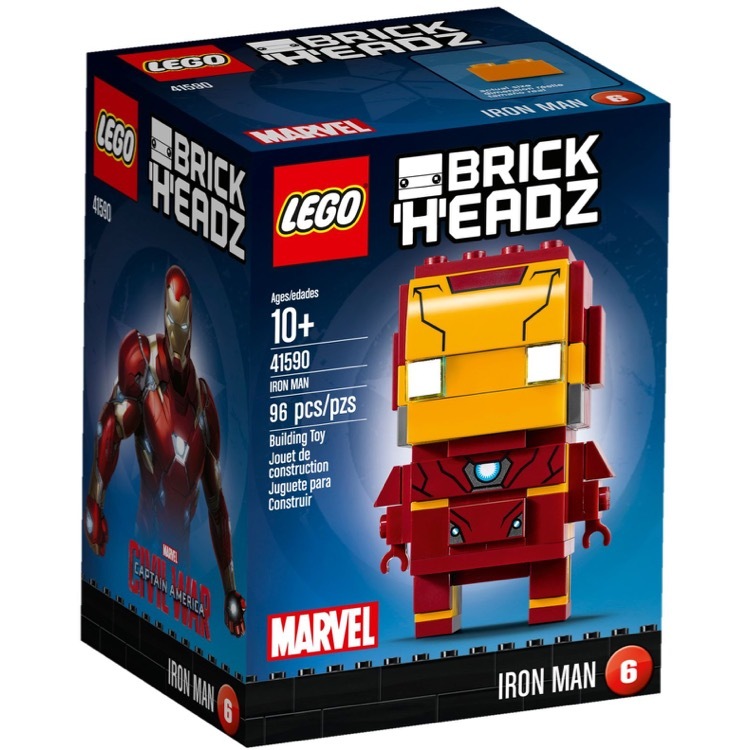 This is a BRAND NEW set of LEGO® BrickHeadz 41590 Iron Man from 2017. This set is still factory sealed and the box is in very good condition with minor shelf wear. 96 pieces and no minifigures©. 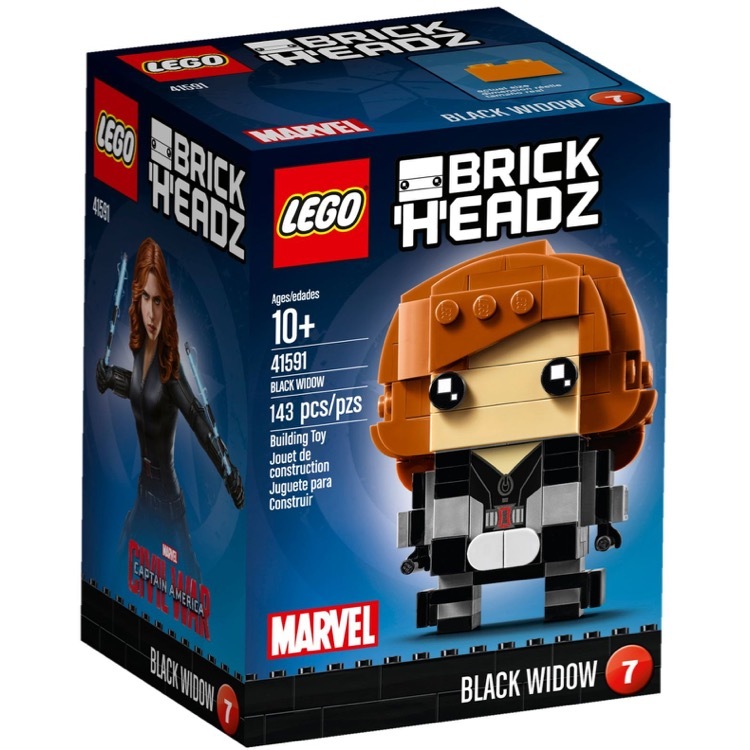 This is a BRAND NEW set of LEGO® BrickHeadz 41591 Black Widow from 2017. This set is still factory sealed and the box is in very good condition with minor shelf wear. 143 pieces and no minifigures©. 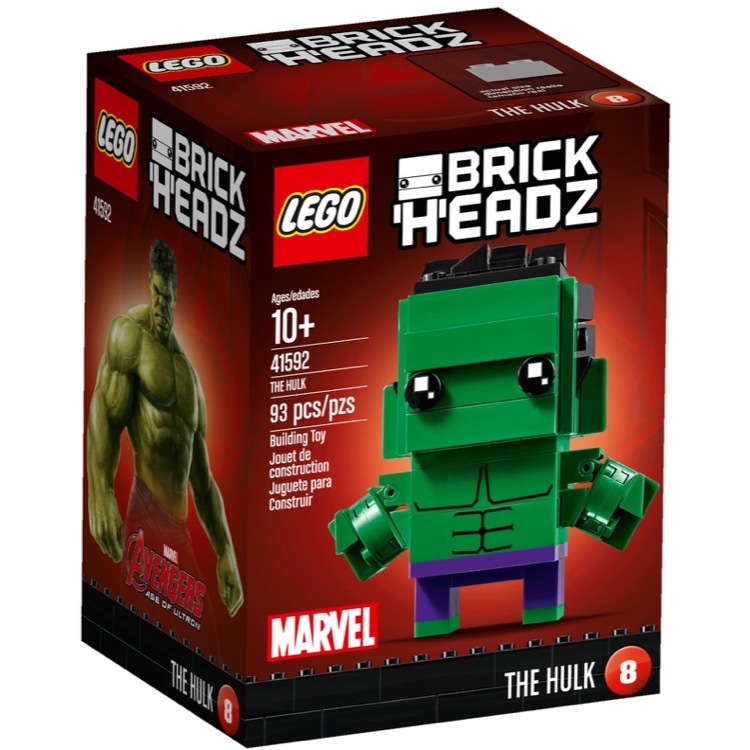 This is a BRAND NEW set of LEGO® BrickHeadz 41592 The Hulk from 2017. This set is still factory sealed and the box is in very good condition with minor shelf wear. 93 pieces and no minifigures©. 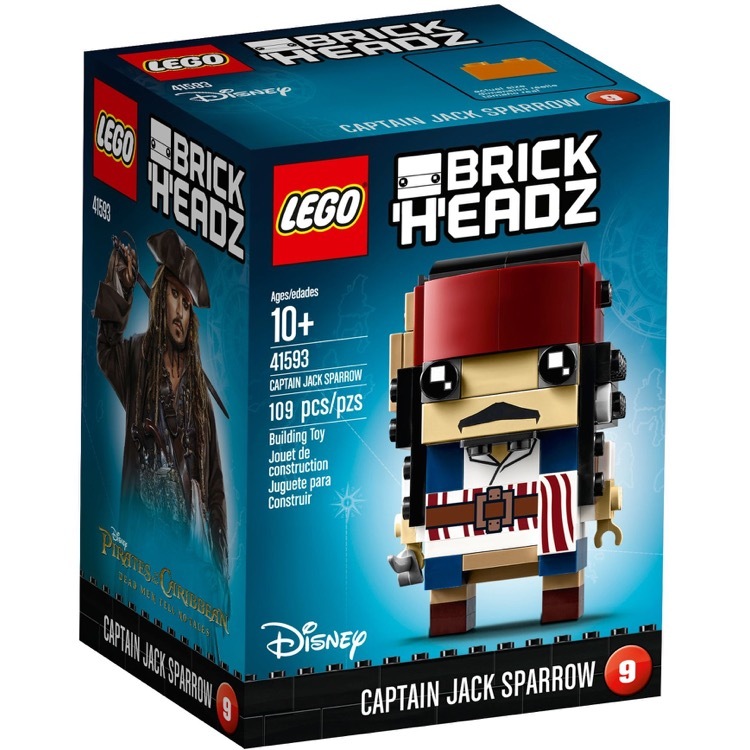 This is a BRAND NEW set of LEGO® BrickHeadz 41593 Captain Jack Sparrow from 2017. This set is still factory sealed and the box is in very good condition with minor shelf wear. 109 pieces and no minifigures©. 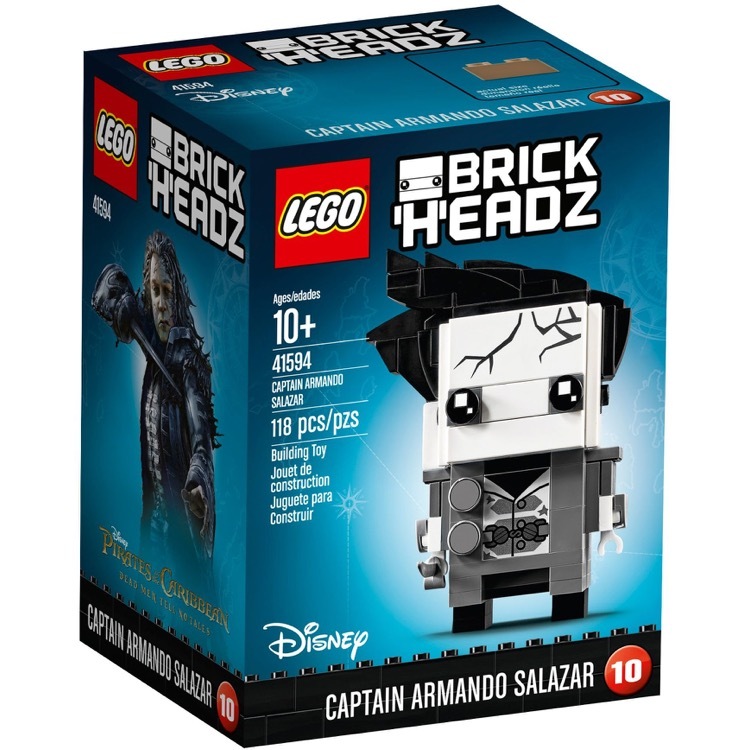 This is a BRAND NEW set of LEGO® BrickHeadz 41594 Captain Armando Salazar from 2017. This set is still factory sealed and the box is in very good condition with minor shelf wear. 118 pieces and no minifigures©. 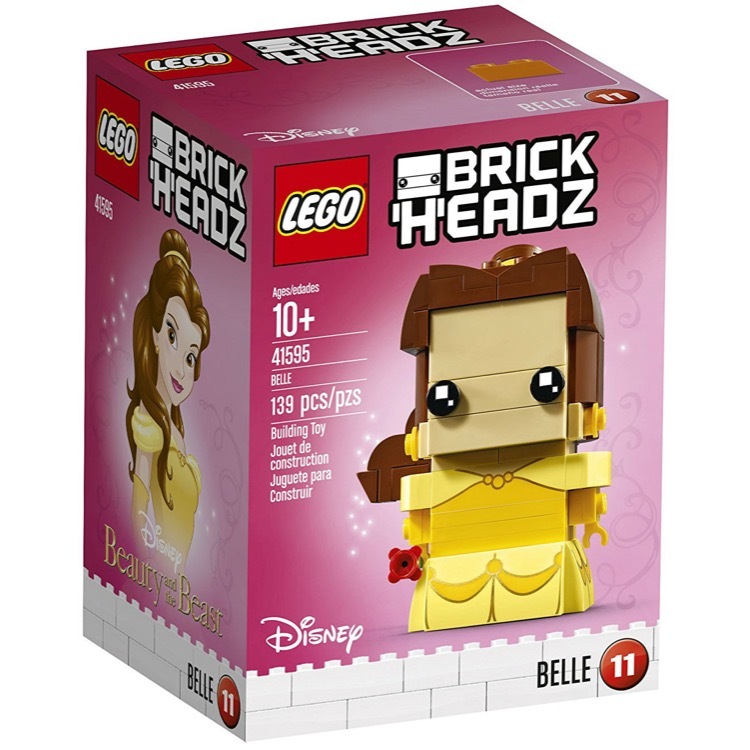 This is a BRAND NEW set of LEGO® BrickHeadz 41595 Belle from 2017. This set is still factory sealed and the box is in very good condition with minor shelf wear. 139 pieces and no minifigures©. 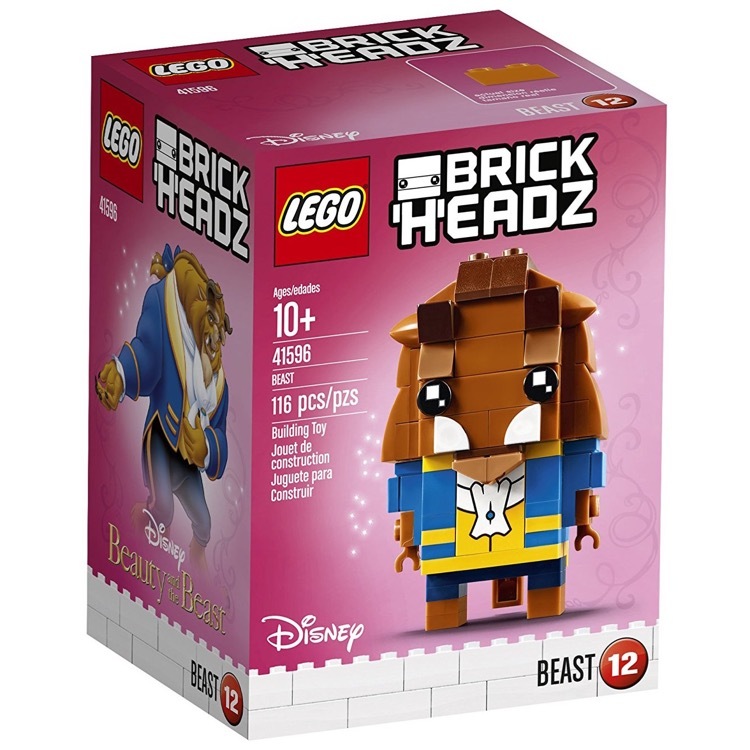 This is a BRAND NEW set of LEGO® BrickHeadz 41596 Beast from 2017. This set is still factory sealed and the box is in very good condition with minor shelf wear. 116 pieces and no minifigures©. 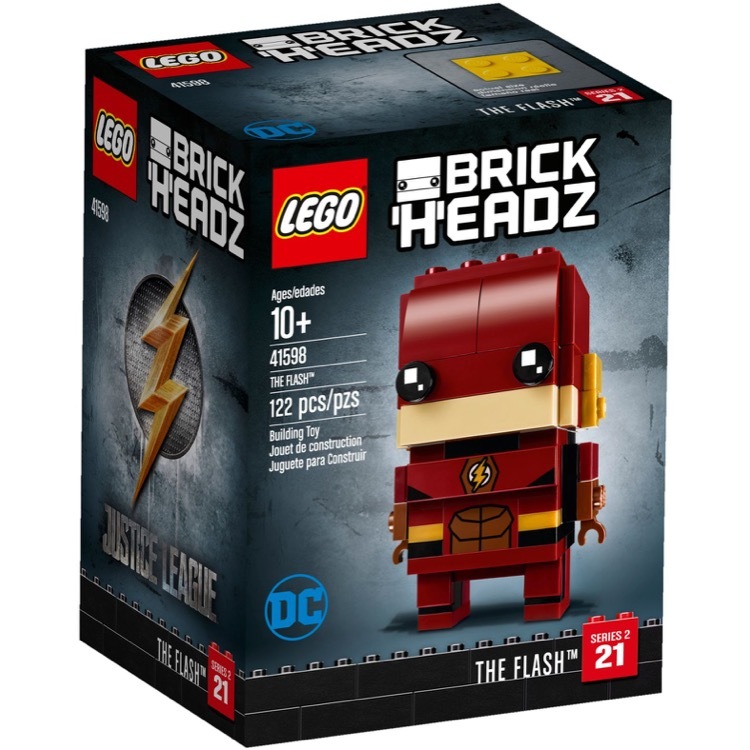 This is a BRAND NEW set of LEGO® BrickHeadz 41598 The Flash from 2018. This set is still factory sealed and the box is in very good condition with minor shelf wear. 122 pieces and no minifigures©.